We decided to offer Level II Robotics for experienced robotics kids & kids that have already taken a robotics camp this summer. You will take your robots to the next level by engaging in a higher level of design to add features, 3D print more parts, and more intense programming. Sign up today! BUILD, PROGRAM, AND TAKE HOME YOUR OWN ROBOT! We are so excited to talk about our new partnership! We’re changing our robotics program in a way that we think is amazing! You will get to build, program, and take home your own robot to keep programming and customizing. We have partnered with MORE Technologies and the Tech Hogs Robotics team to bring you this unique opportunity. 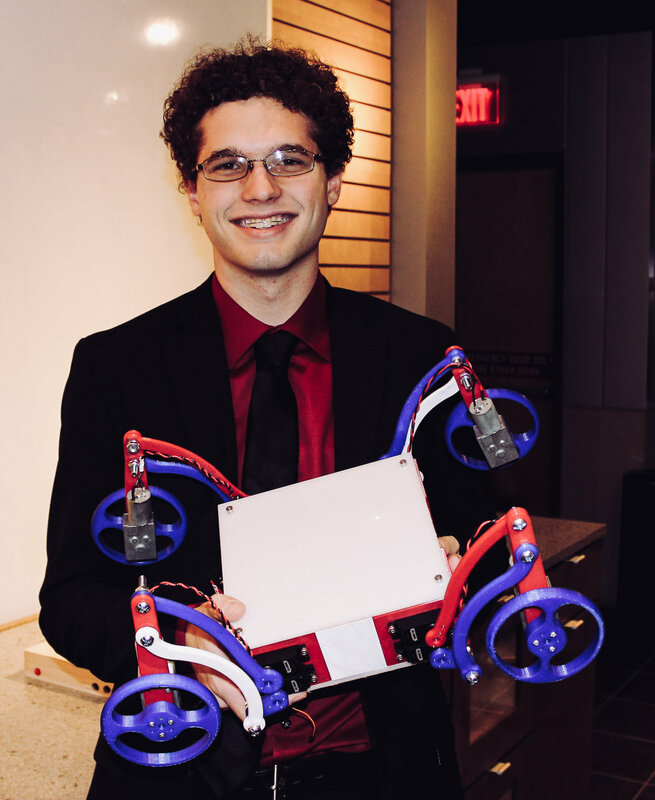 MORE technologies began at the University of Arkansas with Canon Reeves ( Co-Captain of the U of A Robotics Team ) who designed a customizable robotics kit for you to be able to keep programming after NERDIES™ is over. The Tech Hog Robotics team is ranked in the top 20 in the WORLD. The world! These kids are amazing and will bring their expertise to you. Check out our awesome video from Spring Break! Great session which forces your child to really start thinking about all of the things they will need to do everyday to compete. We challenge the kids to build, rebuild, redesign, rebuild and redesign again all in an attempt to get better performance from their robot. You will be amazed at how when they come home everyday how they will be talking about and picking your brain on what they can do better the next day. This passion and excitement for learning is something that will serve them well the rest of their lives. What is Robotics and Engineering? The computer requirements are not intensive. Most basic laptops will be perfect for this session. NERDIES™ Summer Sessions will be held Monday through Friday from 9am-3pm. Lunch not provided. A NON-REFUNDABLE payment is required to hold your spot for NERDIES™ Summer Sessions. In the event your child is unable to attend the payment can be applied to future NERDIES™ offerings.